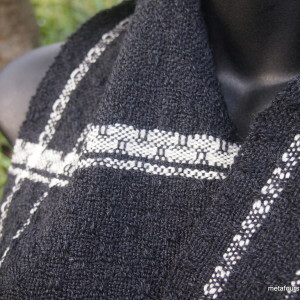 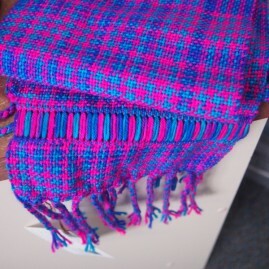 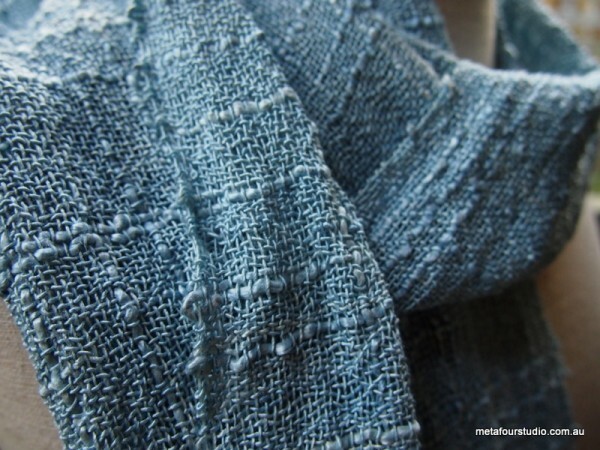 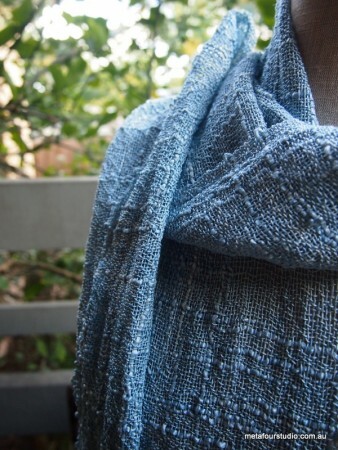 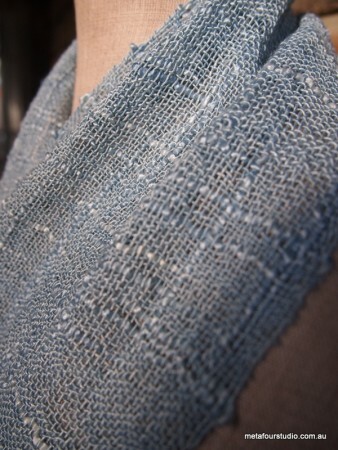 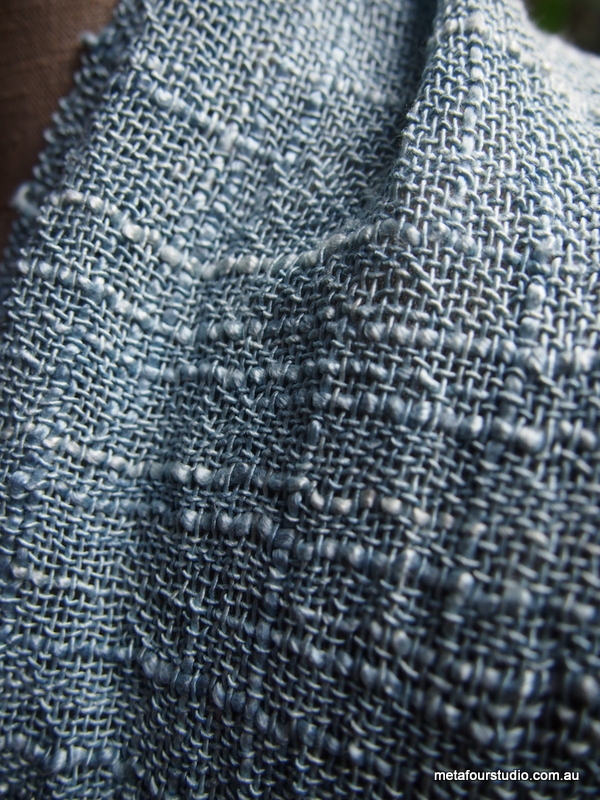 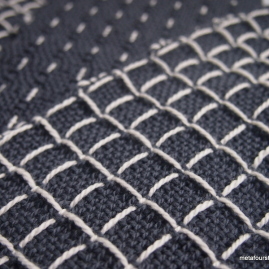 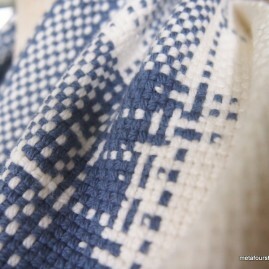 Handwoven with slub silk yarn, hand-dyed in traditional indigo by Metafour Studio. 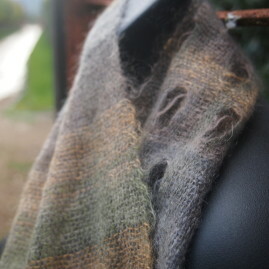 This is a lightweight scarf in a pale blue, with a lot of lovely texture to it. 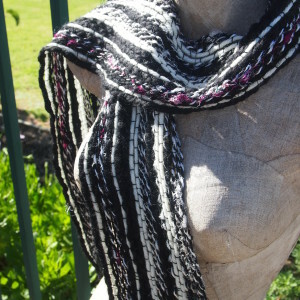 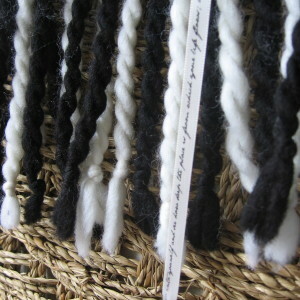 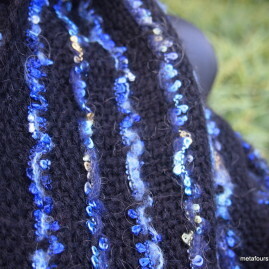 The twisted fringes show off the energy in the yarn. 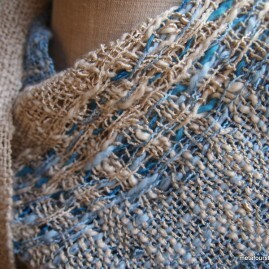 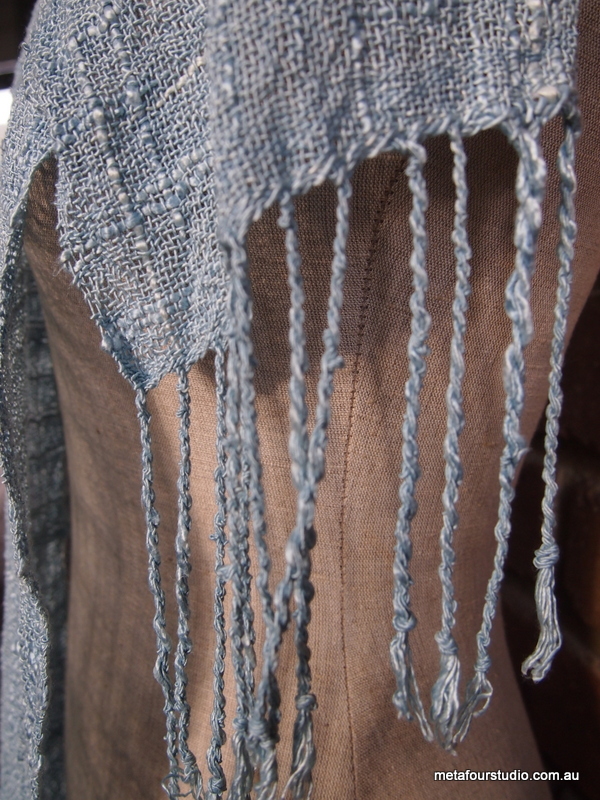 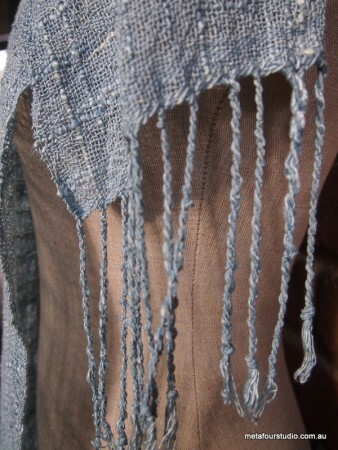 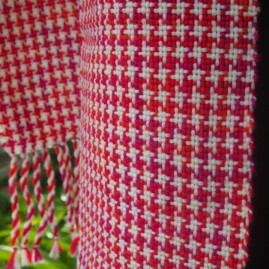 Detail: Handwoven lightweight silk scarf with twisted fringes.